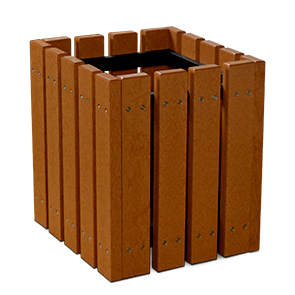 This 24" Square Recycled Plastic Econo-Mizer Planter features maintenance-free, 100% recycled plastic slats. These slats will last, they will not corrode rust or fade. Pre-attached on four panels for easy assembly. Large opening, slatted design keeps rainwater drained away while fitting a variety of plant sizes. 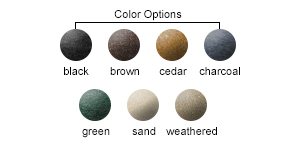 Available in Recycled Plastic color options as shown.